Self care and self love is very important especially for sensitive people and empaths! I didn’t how important it was until getting burnt out a few months ago from overworking and over giving of my time and energy. It took me almost 3 months to recover. Now I make self care a priority and I have noticed a huge difference in my life. I am much happier and I have more energy for myself and for clients in my healing sessions! Some of my favorite things for self care include facials and massages. 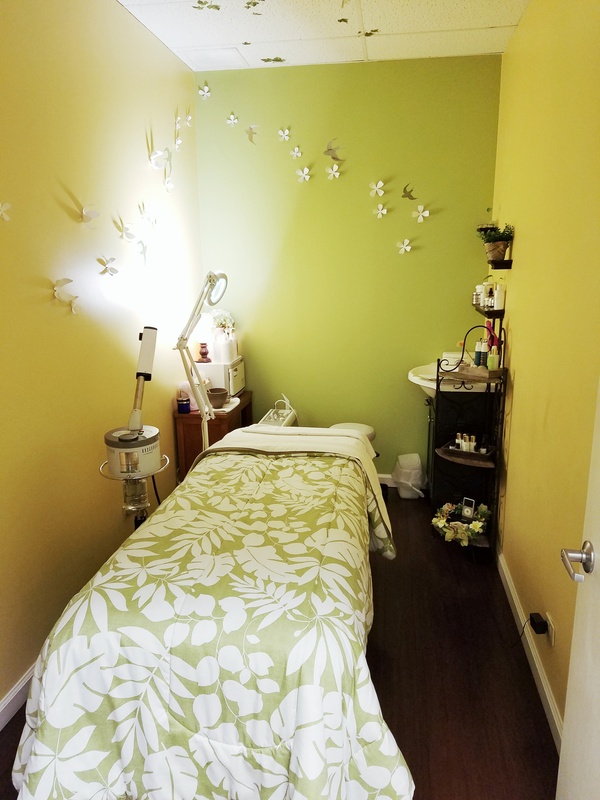 I’ve been to Green Spa Hawaii for both services and had great experiences. 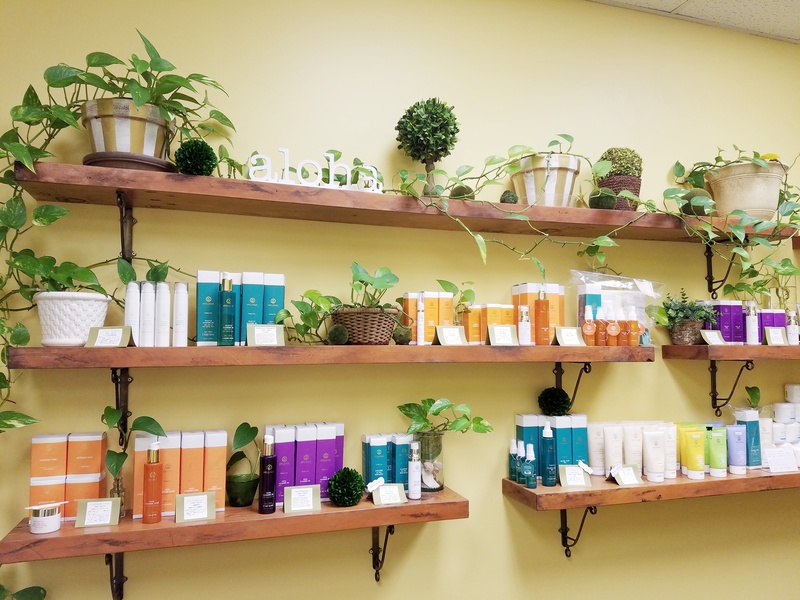 They are professional and also knowledgeable in helping with skin issues. On my last visit, I got a customized facial based on my skin type. My skin type is combination and also sensitive. 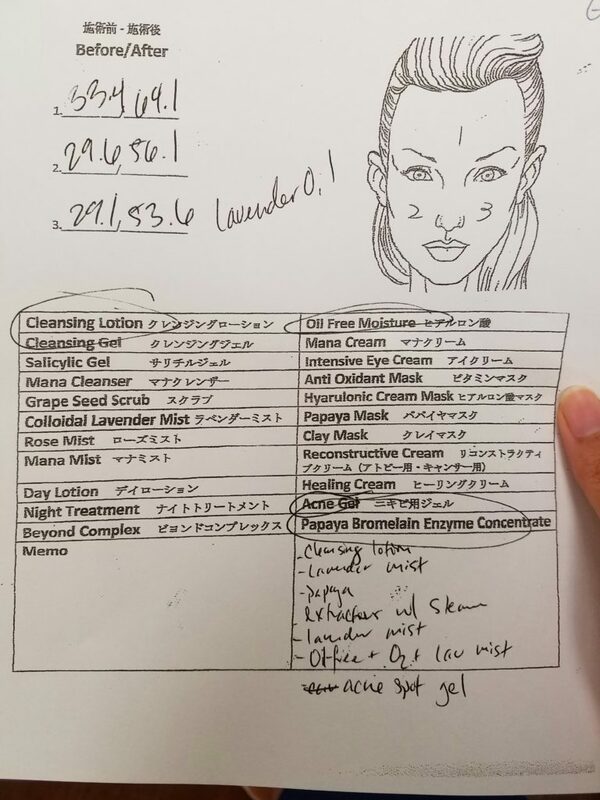 My skin was also very dry at that time because I was using a face wash with tea tree oil that was too strong for my skin. During the treatment, Nicole my facial therapist, used an oxygen machine to help get into the deep layers of the skin and infuse it with pure oxygen. This oxygen treatment is supposed to help increase collagen, as well as soften and moisturize the skin. 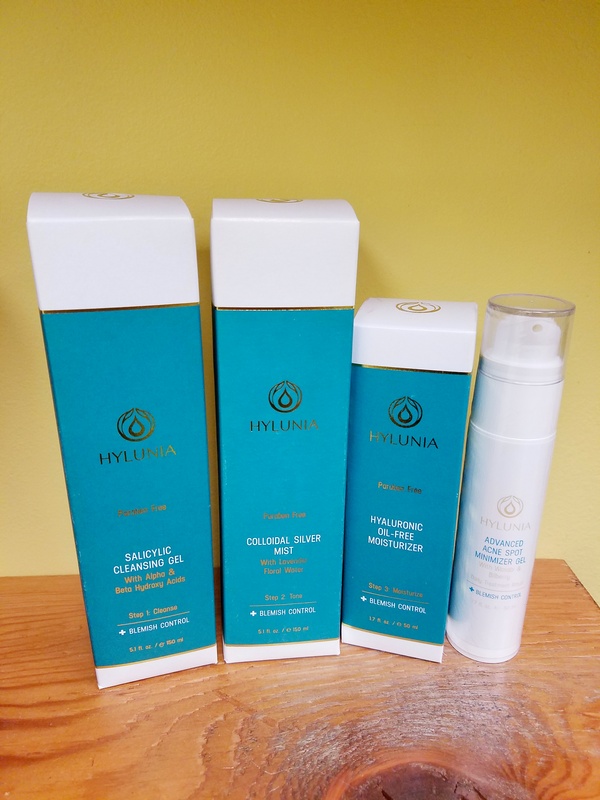 She also used the Hylunia skin care line on me and a papaya enzyme mask which are great for sensitive skin. They are also vegan, cruelty free, paraben free and toxin free! This information sheet shows the before and after of the moisture levels of my skin which Nicole tested for on 3 different places of my face. The ideal moisture level is 50 percent. 30 percent and below means you have dry skin and as you can see, I was under 30 percent for most of my face. However after the facial, my moisture level went above 50! Yay! Happy skin! After the treatment, I could see and feel the difference in my skin. It was much smoother and softer. I also bought the Hylunia Facial Cleansing Gel to replace the face wash that was drying out my skin. So far, I have been using it the past 2 weeks and my skin is no longer dry. Lesson learned make sure you use the right type of products for your skin! I also enjoyed the “Kahala edible fruit tea” after my facial. You can eat the fruits and the flowers that are in it while you drink. From their website, “This sweet ruby-red tea delivers unique flavor and potential health benefits by blending tropical flavor of Organic Hibiscus flower, dried fruits and Natural Hawaiian Herb(Ko’oko’olau); known to prevent strokes, control diabetes, and promote good overall health. This caffeine free tea is a natural source of Vitamin A and E, minerals, fiber, iron, β carotene, calcium, Lycopene, and citric acid. 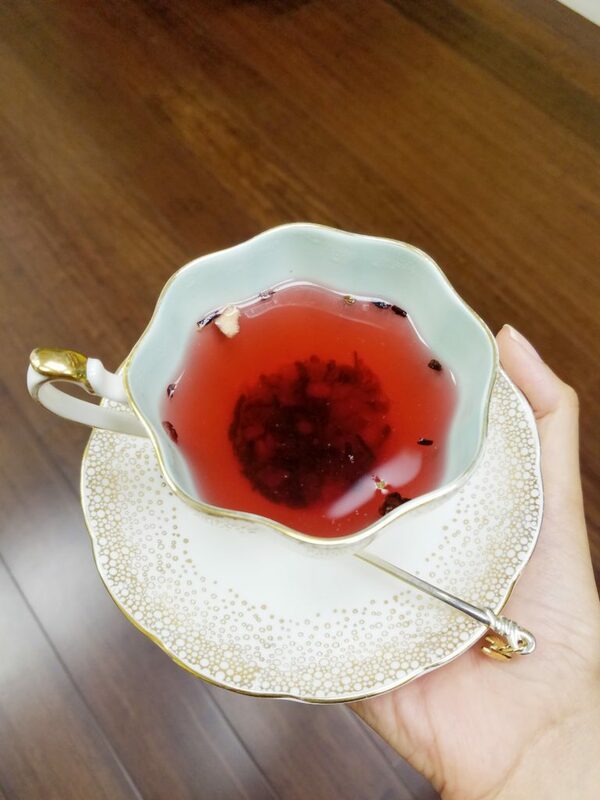 The tea tastes great hot or cold, and is all edible, so enjoy eating the whole tea!” You can also purchase the tea. It comes in cute beach themed packaging. 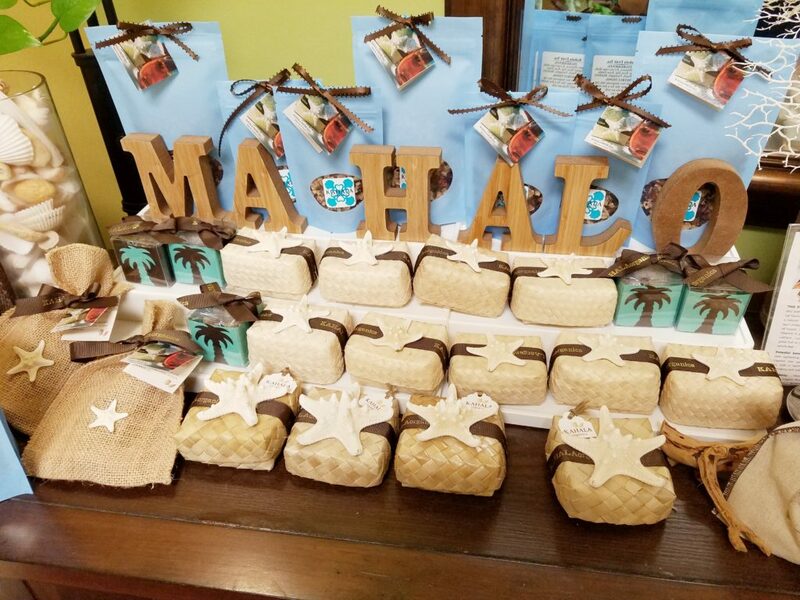 Check out Green Spa Hawaii for great quality and relaxing spa treatments! Disclosure: Thank you to Green Spa for the complimentary facial! Gratuity and the Hylunia Facial Cleansing Gel were both paid for on my own. I only work with companies that I feel are aligned with my beliefs and values. All opinions are my own.